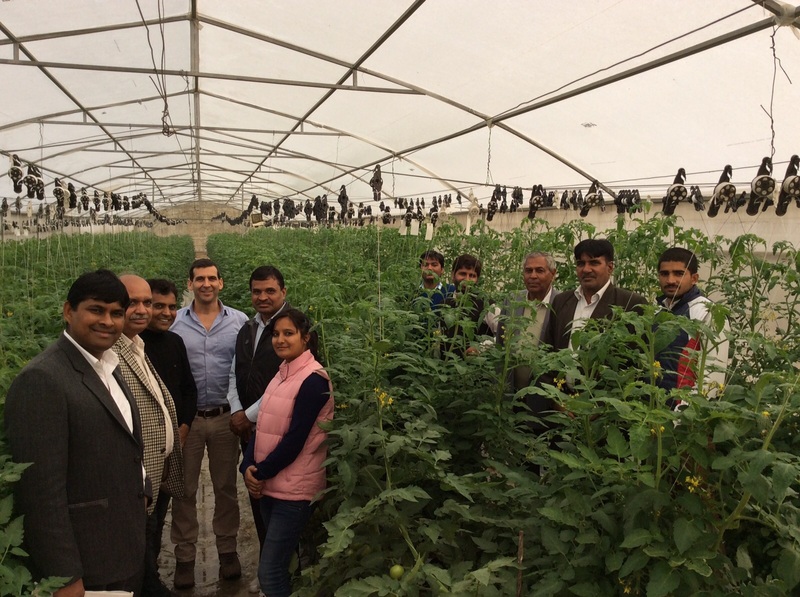 Centre of Excellence for Vegetables (IIP) was inaugurated on January 17th, 2011 at Gharaunda, Karnal, Haryana. 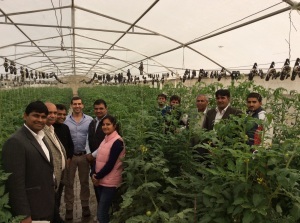 It is an Indo-Israel Project, established to provide farming support to the farmers. Centre encourages farmers to take up protected farming with walk-in-tunnels as well as low tunnels in order to grow off-season vegetables and earn higher profits. Dr. Satyender Yadav, Dy. 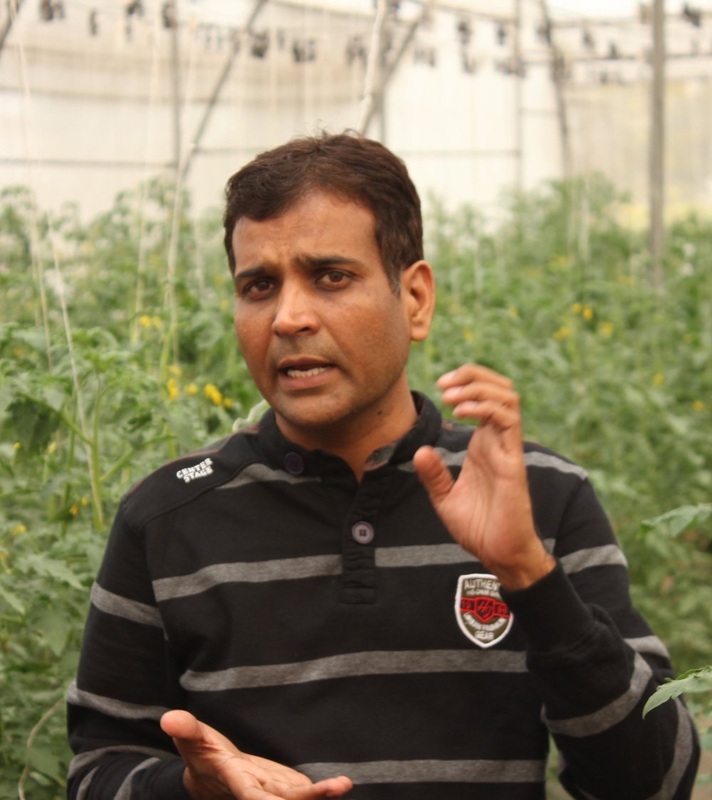 Director Horticulture speaks with us on walk-in-tunnel farming and its impact on farmer’s revenue. Walk-in-Tunnel (WIT) farming is done in the field where farmers transplant the high value vegetable saplings. WITs are protected structures with 2.5 to 4.0 meter heights. They are made of GI steel pipes and covered with 200 microns UV poly sheets to give protection against insect-pest and adverse climatic conditions. The production increase from 5 – 6 times as compare to open field situations with superior quality. The above said technology is supported by Department of Horticulture under National Horticulture Mission. Subsidy is given to the farmers subject to their respective state. Haryana State provides 65% subsidy. These structures are manufactured and installed by companies like Jain Irrigation Systems Ltd. and Netafim India Pvt. Ltd. etc. The cost of installation of WITs is Rs. 600 per sqm. The life such structures is approximate 15 years. 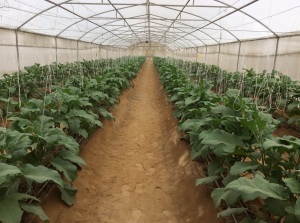 On the other side low tunnels is the technology to cover the crop with non-woven cloth completely for two months to give protection against low temperature. There is provision of 50% assistance on such low tunnels through the Department of Horticulture. Approximately Rs. 20,000/hectare is the cost incurred for low tunnel system. As per 50% subsidy scheme farmers are paid Rs. 10,000. 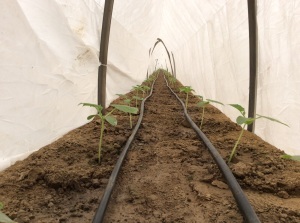 Low tunnel are very effective in growing off-season crops such as brinjal, watermelon, tomatoes etc. In both the situations i.e. WITs and Low tunnels the plants are irrigated with drip technology. They are low cost structures and small and marginal group of famers can easily adopt these technologies. People can go inside the WITs and monitor the crops everyday but in low tunnels the crops are covered with non-woven cloth and hence can be checked on the daily routine only by removing the cloth. The technique of WITs and Low Tunnels farming enables farmers to grow off-season crops precisely in winter season. It is extremely helpful for preventing the crops from pest attack and managing erratic climatic conditions. Saplings are transplanted in the tunnels and not the seeds. The soil temperature in winters is maximum 20 degree Celsius while the seeds need 24-25 degree Celsius temperature for 72 hours to germinate. Therefore only saplings are used as the seeds if sown in the soil, surely will not germinate. Farmers transplant crop saplings in December month in tunnel and then cover it completely for next two month. To cover the saplings in the tunnel, farmers can either use thin plastic sheets or polypropylene cloth. The crop will be protected from the frost. 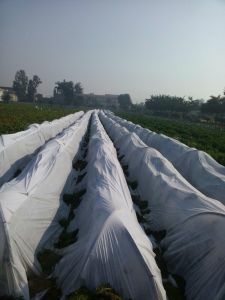 We usually recommend polypropylene cloth to cover the tunnel having the saplings as it is cost effective, safe for environment and protects the crops from termites, rodents, insects and pest attack. By February month the tunnels are uncovered, saplings are sturdy hence left in open cultivation and after some days it is ready to bear the fruit. As it is off-season vegetable produce farmers can earn good profits. To make tunnel farming a success it is crucial to plant healthy saplings. To facilitate the same Centre of Excellence for Vegetables procures seeds from the farmers and develops it into saplings for them at a low cost of Re 1/sapling. We produce 4-6 million saplings every year in off season to cater to approximately 1500 farmers. Tomato, cucumber, egg plants, bell peppers are most in demand. Sometimes farmers even ask for melon, bottle gourds, ridge gourd and bitter gourd saplings. Tunnel farming is idle technique for farmers to continue earning revenues all the year round. We recommend it largely. In addition we are working round the clock to solve the farming related problems of farmers. Presently our main project is to resolve the tribulation of nematodes, the insect appearing in the soil. As it is not visible by the naked eyes it is a serious threat to the farming community. Therefore we are encouraging farmers to take up soilless cultivation too. The crops will be grown in grow bags having coco-peat. In another project we are working on developing new crops precisely seedless brinjal. So far India is not able to tap the commercial benefits of this crop due to lack of quality seeds. We are working on the crop for last two years and getting good results. Soon it shall be introduced to the farmers. I want to conclude with two advices to the farmers, use technology over harmful chemical based farming inputs, protected cultivation is the technology suggested. Secondly use drip irrigation as water is scarce and must be saved for future generation. 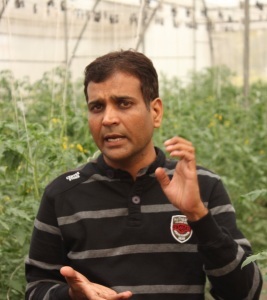 Dr. Satyender Yadav did his doctorate in 2004 from CCS Haryana Agricultural University, Hisar. After completing the education he worked with renowned multinational companies like Monsanto, Mahyco Seeds and Syngenta Seeds. Later to which he moved to public sector in 2009 through Public Service Commission and since 2011 he is working with Indo-Israel Project, Gharaunda.